Detroit, MI – Thom Connors, SMG regional vice president and general manager of Cobo Center, announced that Thomas Albrecht has joined the Cobo Center staff as the new director of sales. Albrecht brings 25 years of sales experience in convention center, hotel and public assembly facilities with such organizations as the Detroit Metropolitan Convention and Visitors Bureau (DMCVB), the Dearborn Ritz-Carlton, Shanty Creek Resorts, and most recently ConferenceDirect in New York City, a conference and meeting management firm. 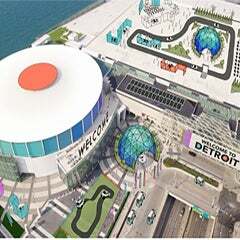 “Tom has all of the experience and qualifications we were looking for in the director of sales position, and worked in sales with the Detroit Metro Convention and Visitors Bureau during the last Cobo expansion, so he understands the challenges we now face,” said Connors. As director of sales for Cobo Center, Albrecht will be responsible for maximizing the rental space and promoting the use of the Cobo Center. 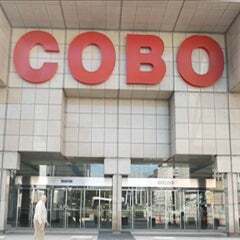 Additionally, he and the sales team will represent Cobo Center to clients and customers, conduct facility tours, provide information regarding facility services, prepare proposals and event contracts, and assist clients in finalizing booking arrangements. 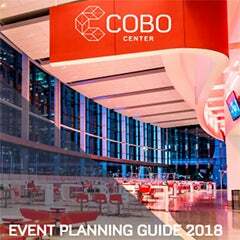 Working with the recently formed Detroit Regional Convention Facility Authority (DRCFA) which this month unveiled its phased plan to renovate and expand the Cobo Center to one of the nation’s leading meeting exhibition venues, Albrecht provides leadership and coaching to the sales team. He works closely with the DMCVB and area hospitality partners including hotels.